8 Heroic Serial Killers in Film and Televisio..
Michael C. Hall is Talking About That Dexter ..
Video Mash-Up: Want to See Dexter Morgan Take On Patrick Bateman? Internet, I’m proud of you. This was bound to happen and kudos to ‘Alex Kropinak’ for bringing this slice of cool to the web. All of the elements to create this mash-up – which finds Dexter Morgan (of Showtime’s Dexter) on the trail of Patrick Bateman (American Psycho) – were in place and Kropinak deftly pieces them together for something…well, that works. Dexter Spin-Off Talk, Hall’s Involvement – But Will It Happen? ?Showtime president David Nevins spoke to journalists at the Television Critics Association panel today. Naturally, good ol’ Dexter Morgan came into the discussion. Since Dex bid adieu last year on Dexter (in a way that was fairly unpopular to many), there have been rumblings of “spin-off.” Nevin’s confirmed that it’s something that is being discussed. For better or for worse, Netflix and CBS worked out a deal to bring all eight seasons of Showtime’s Dexter to Netflix. Beginning on Halloween (Oct 31, 2013), the first four seasons of the award-winning series will be available to watch instantly; seasons 5-8 will begin on Jan 1, 2014. Starring Golden Globe winning actor Michael C. Hall, Dexter tells the story of Dexter Morgan, America’s favorite serial killer. As a Miami forensics expert, he spends his days solving crimes, and nights committing them. But Dexter lives by a strict code of honor that is both his saving grace and lifelong burden. Dexter came to an end on Showtime last night and everyone has something to say about the series finale. In my opinion, as a longtime Dexter viewer from the beginning, I thought it was garbage. Inconsistent, sloppy and silly, the show went out with a whimper instead of the bang it deserved. Characters were unceremoniously sent off without a proper farewell…and that Masuka/daughter thing? What the hell was that and where did it lead? Nowhere. E! spoke with Clyde Philips, showrunner on the series. His term took him through to the end of the Trinity killer storyline which is, arguably, the last “good” season of Dexter. 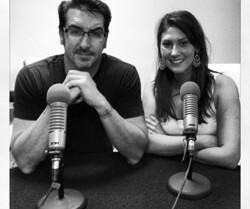 The BloodCast officially welcomes Clarke Wolfe as its co-host! 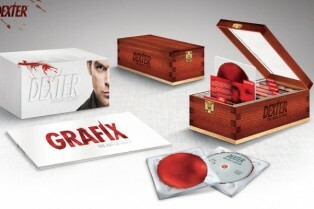 Paramount and CBS Home Entertainment have revealed plans for its Dexter: The Complete Series Collection, arriving on DVD and Blu-ray November 5th. It was a fond farewell to Showtime’s acclaimed drama Dexter to close out the Hall H festivities at Comic-Con on Thursday. 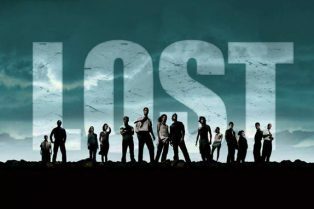 The cast, which wrapped the last episode of its eighth and final season just last week, was tight-lipped about how the series would end, although speculation remains high that the body count will go up. That’s not much of a stretch given that over half of the eight actors on the panel had already met their doom. The closest anyone came to spilling the beans regarding the rest of the final season, which is currently airing on Showtime, was Yvonne Strahovski, who plays Hanna McKay. Podcast: The BloodCast Looks at the Televised Horrors of Comic-Con! Comic-Con is nearly upon us and, for this episode, The BloodCast’s Ryan Turek along with guest Clarke Wolfe look at what hot TV shows are heading to the San Diego event. And, as you know, The BloodCast veers wildly off topic, so expect a discussion about the works of Wes Craven, an assessment of Under the Dome and Dexter and more! 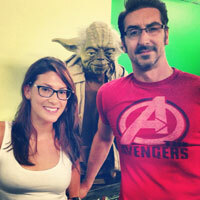 To download The BloodCast to your favorite device, head to the home of the podcast, GeekNation. The eighth and final season premiere of Dexter continued to break records, ranking as the series’ highest-rated premiere ever, a record which the show continues to break season after season. Dexter’s debut last night delivered 2.5 million viewers at 9 p.m., up four percent vs. its season seven premiere (2.4 million). The series delivered 3.2 million viewers for the night, up five percent versus season seven (3.04 million). To check out that hit premiere, head inside, because Showtime has made the first episode available to view via YouTube. Note: Spoilers from previous seasons of the show and future episodes. Charlotte Rampling guest stars as Dr. Evelyn Vogel on the final season of Dexter and Showtime has released a new featurette that focuses on her character. 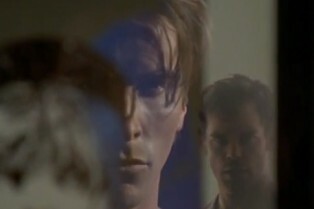 Showtime has revealed the official season 8 trailer for Dexter! Feast your eyes on what’s to come beginning Sunday, June 30th. This is the final season for the hit series. 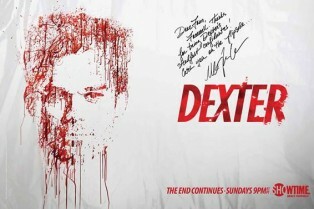 Showtime has today released a new poster and trailer for the eighth and final season of “Dexter”. Check it both out after the break. 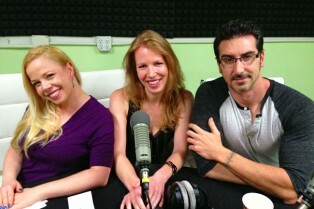 The season premiere airs Sunday, June 30. As we all know, Showtime is saying goodbye to Dexter with season eight. What we don’t know is: What the hell is the final season about? After the jump, you’ll find Showtime’s description which was culled from a “programming overview” press release.